Millius Jegwe Pofera remains adamant that his team Dedza Young Soccer will not face the chop in Malawi’s elite league. Jegwe was quoted telling one of the radios in Malawi after his team defeated Mzuzu based giants Moyale Barracks. Dedza Young Soccer upbeat of survival. Jegwe said that the soccer fraternity will not be seeing Dedza Young Soccer kissing good bye to Malawi’s elite league at the end of the season because he doesn’t know the meaning of relegation. “The word relegation doesn’t appear in my dictionary, so am seeing my team surviving in the super league and people will watch Dedza again next season”, said Jegwe. 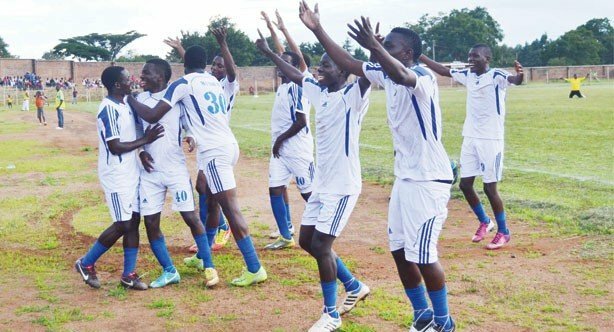 The Young soccer saints coach added by that no team under his leadership has ever faced relegation and he also thanked his boys for correcting their 3 away points in Malawi’s elite league. Dedza young Soccer saints 1 nil victory over Moyale last weekend moved them away from the relegation zone and are now on position 12 on the log table with 18 points from 18 matches.